Online I’m known as RadOwl. Click to visit my reddit.com profile. The next part of the dream is three years in the future, and I’ve been teaching the aliens about human culture and language. I run across two of them in the kitchen preparing food, and think at first they are planning something malicious, but when I eavesdrop I hear them say they don’t like the taste of carrots. The scene is at a party, and the other people avoid the aliens. Next the dream jumps ahead two years, and the alien I’ve been teaching language to can communicate fully with me. He says that it is time, and that I’m the one “who will see.” He sends me an image of a person with the Third Eye opening in the forehead and tells me that I need to “open.” I sit in lotus and imagine it happening to me. When my Third Eye opens I see an image of a sandstorm colliding with a blizzard. High above it I see an image of spaceships in the air fighting each other. My friendly alien tells me this is the result of human technology. He then takes me to a little cone-shaped craft with no controls. I open my Third Eye and use it to navigate through the fighting and fly to a desert planet like Mars. A theory about dreaming is the imagery is produced in the Third Eye, aka the pineal gland. What an amazing dream! Thank you for sharing it. Let’s analyze it a detail at a time and see how it all fits together to tell a story. The opening scene of a dream is often where you find the subject. To begin understanding the maze of corridors, think of it as a metaphor for “the maze of life.” You make choices in life about which way to go and where to turn, not quite sure where you’ll end up, an idea ready-made for comparison to a maze. By the end of the dream you find yourself in a completely new and unexpected place. My guess is, you are also finding out new and unexpected things about yourself. Now expand the possibilities for the meaning of the symbolism in the opening scene. What I see is the maze-like process of self-discovery. The “psychonauts” among us — people who explore their inner depths — know what a maze the inner world is like. Like exploring an ocean, the deeper you go, the stranger and more mysterious things get. Every twist and turn reveals something new. This leads us to the aliens in your dream. Nothing says “strange and mysterious” quite like aliens. Think expansively about what is “alien” and it can describe anything that is foreign to you or originating beyond your comprehension. For example, I might dream of lessons in Tibetan Buddhism as coming from an alien because my Western background does not prepare me for such encounters. At the bottom of this post I give you a resource to thoroughly explore the dream symbolism of UFOs and aliens. The dream provides a few clues to what the aliens represent to you. The first is when the person you are with runs away. It says to me that there is something about the subject most people avoid, or that scares them away. That idea is reinforced in the scene where the aliens are at the party and people avoid them. Aliens are sometimes portrayed as enlightened saviors of humanity. Another clue is when you suspect the aliens of being malicious but they turn out to be benign, saying, perhaps, there is something about this process of inner exploration you initially don’t trust, but in time you realize fully that it’s good, it’s for your benefit. Going back to my Tibetan Buddhism example, I might not trust the teachings at first because they don’t “speak my native language,” which is Christianity, but with time and exposure I find it isn’t so “foreign” as I initially think. This is true in my case as I have found many parallels between Tibetan Buddhism and Gnostic Christianity. People who go deep down the rabbit hole can mistrust what’s happening to them. They might even decide they want nothing to do with it. They turn and run, like the person with you in the opening scene. That person could even represent fear that going where this inner process is leading will separate you from the rest of humanity and dispel the illusions that most people believe to survive in society. The blinders no longer work. Once the Third Eye opens, there’s no going back. You, in a sense, will be the alien. We know that something behind the meaning of this dream scares you — you say it near the beginning — but we can also tell by your reaction that you’re willing to push ahead despite the fear. Groups and aliens are two subjects covered in my book. Groups of three characters in dreams –in this case, three aliens — can symbolize something about you that’s incomplete. I find this symbolism quite often in the dreams of people who are looking for something to complete themselves. However, groups of three are used symbolically to show unity and strength, such as in the Trinity. Something deeper might be at work in this detail. Notice that you are initially with the three aliens, and three years pass as you learn to communicate with them. Then you are with two of the aliens in the kitchen, then two years pass. The dream deliberately creates those parallels. My initial thinking on this subject might miss an important clue: 3+2=5. In numerology, five is a number of imminent change. The dream creates a five-year timeline to go from the maze, to flying a spacecraft with your mind. That’s a huge change! The detail about the aliens making something in the kitchen makes sense when viewed as a metaphor for an internal process. Cooking is a commonly used metaphor for internal processes. Ingredients in the form of knowledge, personality traits, mental functions and so forth are combined to create something new in you. The heat is supplied by your passion and desire to pursue new directions in your life. You don’t become a psychonaut by passively waiting for things to come to you! Yes, patience is necessary — it doesn’t happen overnight — but you will continually struggle against inertia, entropy, and social pressure to conform. Transformation is something you have to really want and pursue. Carrots are associated with good eyesight (which is a myth, by the way), but if the aliens are teaching you about opening your Third Eye and that’s what’s meant by the symbolism of the carrots, you’d think that the aliens would love carrots. Carrots are associated with the color orange, which is associated with the sacral chakra. The Third Eye, however, is associated with a different chakra (see illustration). Carrots are a root vegetable, and that connection with the ground can symbolize the need for psychonauts to be well-grounded in their everyday lives. But again, you’d expect the aliens to like carrots if that symbolism applied. This is all a way of saying I don’t know what the heck that carrot detail is really about. Perhaps someone will read this post and offer suggestions in the comments. Your dream appears to define alien in the scene involving opening the Third Eye, which at its essence means seeing the world in a new way, with more insight and awareness. The Third Eye is a “foreign” idea, like Tibetan Buddhism is to a Midwest-born American such as myself. You might say then that dream is about opening yourself up to new ideas, new experiences, and new abilities. In the dream you gain some awesome new abilities. The Third Eye is described in some places as a portal to other dimensions of reality. With it you can view and experience mystery and wonder as you’ve never known it before. And dude, you get your own spaceship! How cool is that. You get to leave the conflict behind, where the humans battle it out with their mind-sucking technology, and use the ancient technology of consciousness to explore the universe. Hmm, where have I heard before about a study showing that dreams about aliens can connect with awaking of special abilities…. What you see when you open the Third Eye is the archetypal image of the conflict of opposites. A sandstorm blasting against a blizzard is a great metaphor for opposite energies, and the ways opposite energies interact is the fundamental dynamic that creates physical reality. Even our very atoms are made of opposing energies, so it’s a concept you find around the world and in the dreams of people everywhere. Your dream gave you a tremendous insight into how to use your Third Eye as a vehicle for exploring the universe, even if that universe is contained within you. I think this dream shows you are developing your personal potential and have much to look forward to if you continue on this path. Hey, do you love dreams? They sure are interesting and mysterious. I have a newsletter about dreams and will send you everything you need to know to get started interpreting them. I’ve had a dream of being on another planet with aliens with blank faces and other ones in vehicles on the planet, and I was kneeling down with my hands on a being or looks like a female with a bright light beaming down on my hands on the forehead of the being or female as if a light of the creator was using me to touch this being for some reason. maybe healing but the other ones was saying something but I couldn’t quit understand and I was shocked at what was going on. then I awoke with unclear. To me, the dream looks like it could be a story about awakening something in yourself. It’s foreign in the sense of new and unknown to you, so the dream says foreign as “alien.” Picture the other alien in your mind and ask it to repeat what you didn’t understand. If my guess is correct, it represents something from your deep, unconscious mind that’s trying to speak to you. The unconscious speaks a language of feelings, symbols and signs. 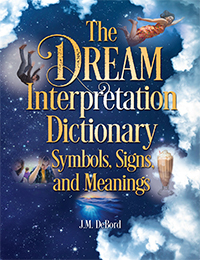 I recommend this primer on dream symbolism if you want to know more. Next story Dream Interpretation Dead Parents and Relatives. Is It Real? Previous story Mom Is Murdered in a Dream. What Does It Mean?